Motivation is that inspiring fire within yourself. If someone else tries to light a fire under you, it will not work. Chances are that sort of external pressure will be short-lived. Nobody can snap their fingers and force you to being an energetic, motivated person. The way to get motivated is to have it come from within yourself. If you need a boost and you can’t get there yourself, consider visiting a psychic. The right psychic and be incredibly inspirational and being you a sense of motivation and serenity in a time of stress. An inspirational psychic can help your get in touch with your goals and help you achieve them. If you’ve ever felt unmotivated or lazy, you know just what it feels like. You have little or no energy and cannot work with enthusiasm. You feel tired and drained. Motivation to commit, work on a project, pursue your dreams, improve relationships or reach financial goals just can’t get off the ground. A psychic can motivate and inspire you for real. Additionally, if you feel miserable and want your enthusiasm back here are some self-help suggestions! Try to focus anew on your goals. As soon as you can refocus on your goals and view them with a different light, you are going to feel far more empowered. This comes down to using your own power to make yourself happier. Nobody can do this for you. It has to come from within. So your fist step is going to be about focusing on your goals and becoming positive that you can achieve them this time around. A positive attitude is everything and so as soon as you decide to guide your own destiny you are going to feel incredibly empowered and motivated. Now that you’ve turned over a new leaf and decided to grab the bull by the horns, seek out positive motivational forces. Hold onto your friends and family that motivate you the most and believe in you. Who can you trust and whom of your friends inspires you? It’s time to get closer to the friends and family who are positive motivational forces. The downer people are not the ones you want to rely on at this point. Stay in touch with the people you value and look up to, and develop those relationships. Don’t be afraid to ask for help and motivation from the people who really believe in you and have your back. Analyze the positive and negative activities that are going on in your life. 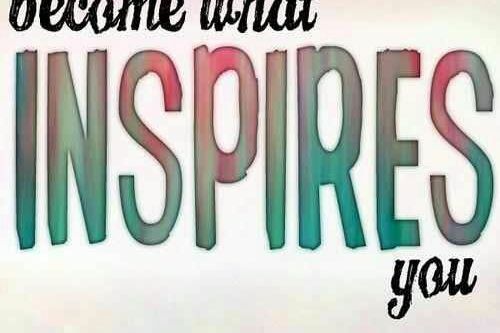 Who and what inspires your faith and gives you confidence? If it’s certain people who inspire you then keep company with them. Likewise, don’t be afraid to surround yourself in people and activities that make you feel uplifted. Just avoiding negative energy and negative people can inspire you. Now is the time to take on hobbies and activities that make you feel inspired. Whether this mean browsing the bookstore, exercising, or joining a club of like-minded people, just do it! You can direct your business activities and also your personal activities. Do the things in life that make you fee refreshed and motivated. This can be as simple as making an overall plan for yourself, or taking on some physical recreation that can relieve stress. Hopefully these tips can help you visualize and achieve your goals. If you are not motivated, focus on the positive and surround yourself with positive encouraging people. If you still can’t maintain your motivation you can consider paying for a few sessions with a psychic or even a life coach. If a life coach is too expensive make sure to visit the self-help aisle in the bookstore and read up on the secrets of success in your endeavor. Knowledge is power so always re-educate yourself to be a productive member of society. Expand on your personal time as well, doing things you enjoy regularly. Spend a least a few hours a week engaging in a totally inspiring activity so that each week you can build on that energy and strive to reach your goals. You can definitely get into that zone of being motivated rather than discouraged. All it takes is positive thinking and an investment of your time and energy. You can do this!